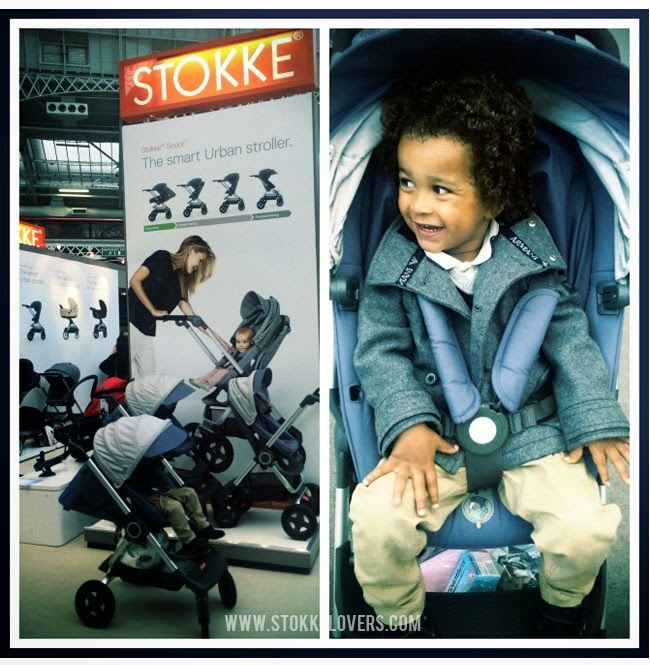 For one reason and another - bad weather, parties and trips out in the car - this was the first weekend I could properly try out the new Stokke Scoot V2, so where better to go than to The Baby Show at Olympia where we would be surrounded by lots of other Scoots and Stokke Lovers generally. Ellis slept for much of the way and was very comfy fully reclined. When he woke up at the show, I simply clipped the seat back to upright mode and that was that. Very simple and effortless. It's also quite a head turner...which the original Scoot was not. 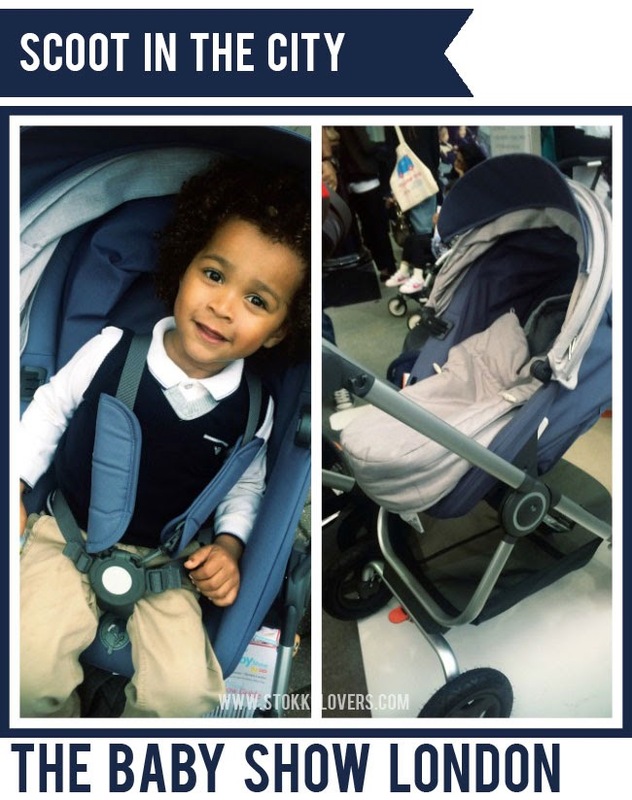 Having only ever had the Stokke Xplory previously, I was accustomed to the looks and 'rubber necking'. Pushing the Scoot, one felt insignificant and part of a sea of non-descript, similar strollers. The V2 does not suffer this plight. Whether it's the two tone textiles or the shape of the hood and visor, we certainly had many an admiring look this weekend. I have to say that we love it too. It's not hugely different from the original model but the minor adjustments to the handle and wheels are most welcome, making for a much smoother ride. The only negative is the size of it when folded (much bigger and more cumbersome than the original) and the weight (it certainly seems at least as heavy, if not heavier) but overall it's a perfect urban stroller for the City. I haven't yet tried the second level recline but I can imagine that would be an ideal position for a much younger child. The two tone textiles, whilst not to everyone's taste, are eye-catching and stylish and I love the overall look.